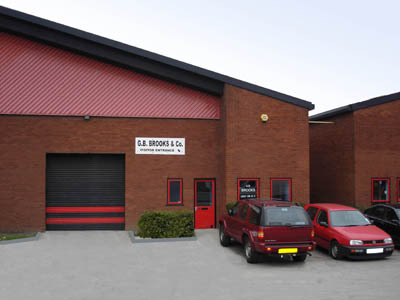 G. B. Brooks & Company was founded in 1973 by Geoffrey Bernard Brooks. Clive and Linda Brooks now run the business with a highly-skilled team who pride themselves in offering a reliable, quality cutting service. The company has expanded organically and offers a wide range of services. It has a reputation for its flexibility, dependability and ability to meet customer requirements, especially when it comes to adhering to agreed timescales. Being conscious of our environmental responsibilities, we strive to maximise the yield from your material, and aim to recycle as much waste as possible. Continuous investment in machinery and equipment has led to increased efficiency and quality of work. For enquiries and quotations, please use our enquiry form. Alternatively, if you wish to contact us by phone or fax, please visit our contacts page.